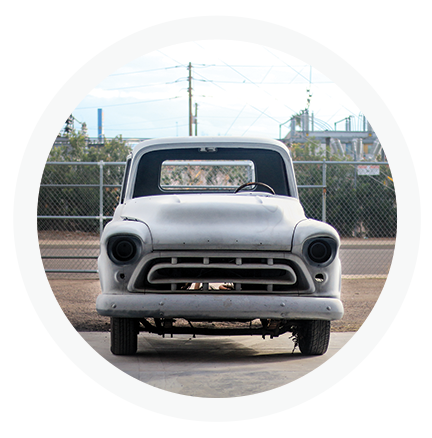 Yes, we built a ’57 Chevy Pickup that was unveiled at SEMA, but this build is about so much more than a car. Gathering women from across the world, of all skill levels, to send a statement that the automotive industry is a great place for a gal to be. 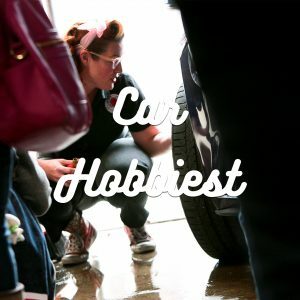 We’re celebrating each other, we’re celebrating our passion for working on cars and we’ve built one helluva awesome car. But it doesn’t end there, join in as the journey continues! Next Steps: U.S. Tour… Stay tuned for more info! 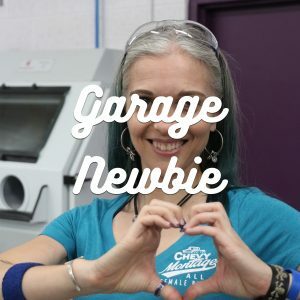 Whether you’re an industry professional who is eager to share their skill and join in with a sisterhood of women or a complete newbie who has never known how to get launched in their passion for cars… this project is for you! Join with us in transforming this truck for SEMA while we also seek to transform our industry to be even better. 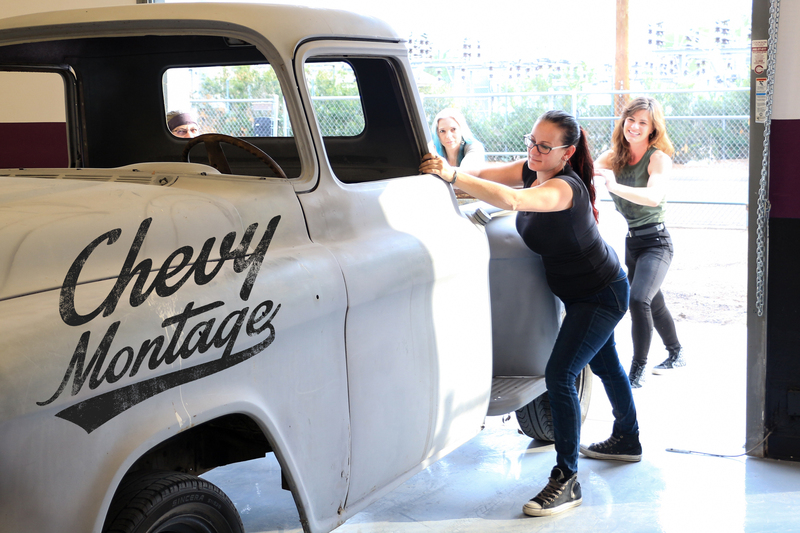 Women from across the U.S. have been coming to Phoenix throughout 2017 to get hands-on with the Chevy Montage. Unveiled at BASF’s Booth during SEMA 2017. Stay tuned for a 2018 U.S. tour with the truck, Bogi & more educational opportunities! 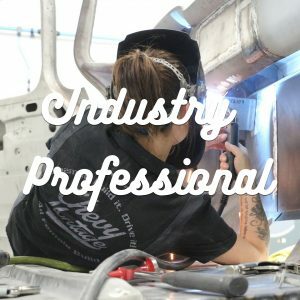 You’re invited to get involved with this truck build! Help us spread the message of empowerment by sharing one of our build pictures on your social media pages. Click through to the gallery and then share on your social pages using #bogisgarage and #chevymontage. We’ve paired with some of the best companies in the industry to make the Chevy Montage a top build. Visit the generous sponsors who have helped to make this build a reality!